I researched a little deeper this week. Always in search of good tools to make gardening much more pleasant and less stressful, if there is such a thing? I am happy eight days, and vegetable plants are sprouting. All hoes have the same basic structure and purpose: a long handle with a paddle, blade, or stirrup at the end, typically at an angle to the handle. As I have found not all hoes are created equal. 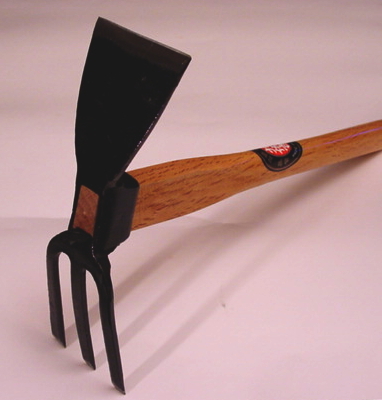 The uses for hoes are to cultivate the garden soil and to remove weeds. 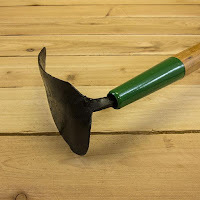 Even with this basic design, there are a few variations, and using hoes in the garden successfully means choosing the right one: for your needs, Paddle, or Draw, hoe. 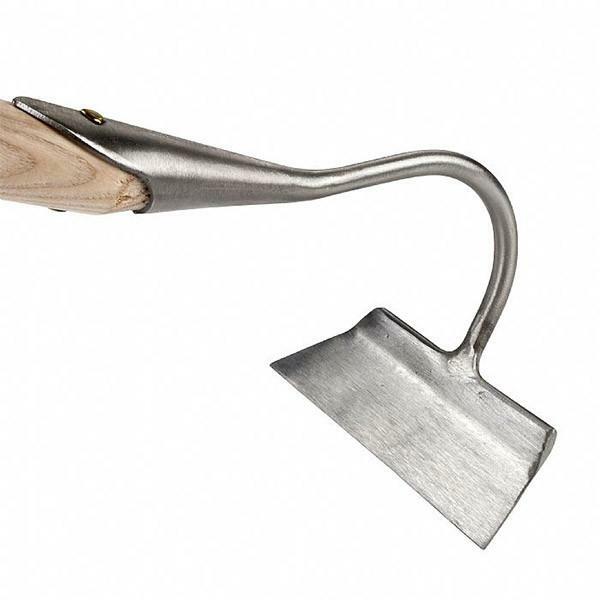 The basic gardening hand hoe goes by many names, including paddle, draw, chopping. These are excellent general hoe that can help you dislodge weeds by the root or mound and shape soil. You can find versions of this with smaller paddles for tight spaces and in lighter weights. If you aren’t sure how to use a hoe that is more specialized, this is an excellent place to start. 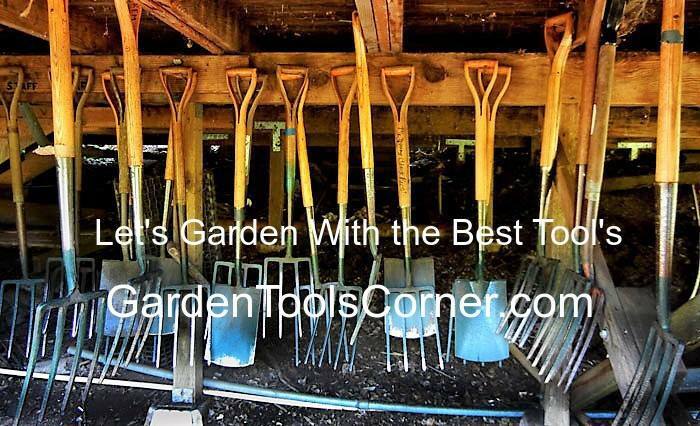 Read more about Gardening Know How: Different Garden Hoes – Learn How To Use A Hoe For Gardening https://www.gardeningknowhow.com/garden-how-to/tools/different-garden-hoes.htm. Stirrup hoe. While the paddle hoe is usually used by pulling it back or making a chopping motion, you can use the stirrup with a back-and-forth motion that helps to dig out stubborn weeds without displacing a lot of soil. I like the paddle hoe, must be modified to a slim blade easier to slide through the soil no chopping for me. 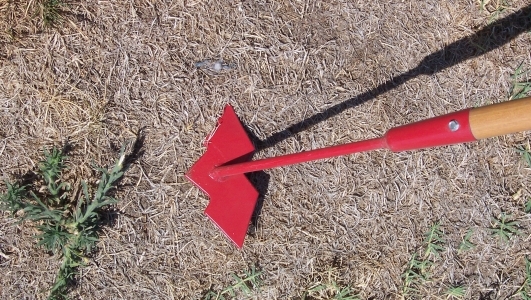 The paddle or blade on this type of hoe is long and thin. This hoe is designed to weed in narrow spaces, and the blade rides parallel to the surface of the soil. Because of the angle of the blade, you can use it without bending over, which is excellent for the back. I have found five more hoes to explore; I will let you check them out and see what you think? The Japanese Ika Hoe is a personal favorite for weeding around perennials including small fruit trees, shrubs, and medicinal herbs. It is also well suited to prepping an area (weeding, working in compost, etc.) that is too small to allow a full-length tool. The flat blade is suitable for scraping off weeds just below the surface, while the three prongs excel when you want to remove roots as well. Small bunch grasses can be popped out like a lever. Fully forged from a single piece of steel, there are no welds to break. The wedge left protruding can be tapped in incrementally if the head begins to get loose. This one is very sturdy and an excellent value for the price. An heirloom hand-forged garden tool from Korea with a specially designed 7" steel blade. The curvature of the pointed blade allows the soil to be thrown to the side like a plow which makes it easier to dig holes and trenches. The edges of the blade are used to level, mound, loosen soil, and cover seeds. Wood handle. 60" overall.